Alistair Mabry, Marquess of Rexton, fought his way to respectability. Now the most eligible bachelor in London, marriage-shy Rexton will take only a wife with an impeccable reputation, good breeding, and a penchant for staying out of the gossip sheets. 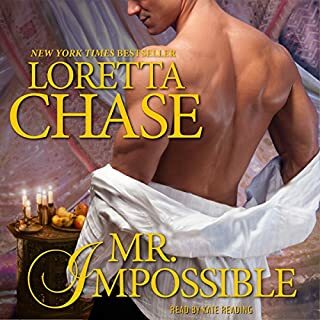 But when he strikes a deal to be seen "courting" a sweet young debutante whose notorious older sister has blemished her chances for marriage, Rexton is unexpectedly drawn to the highly inappropriate, calamitous Tillie, Lady Landsdowne herself. 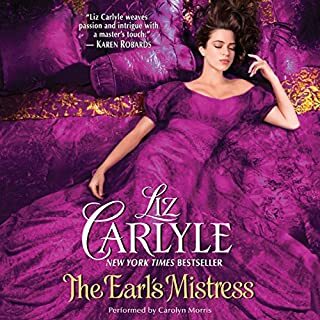 A great storyline and an indepth view of how the aristocracy valued status above values.The ability to sarcrifice anothers life by marrying for material gain to keep a family's titled status intact. What does Helen Lloyd and Antony Ferguson bring to the story that you wouldn’t experience if you had only read the book? Both narrators complemented one another and the genre in which the book was based. 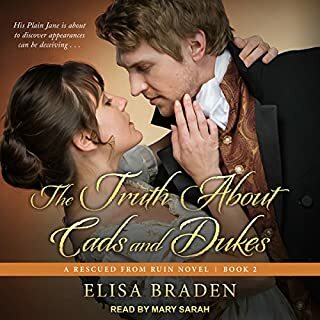 In the country visiting his twin brother, Viscount Rawleigh longs for a little diversion, and beautiful young widow Catherine Winters seems like easy prey. 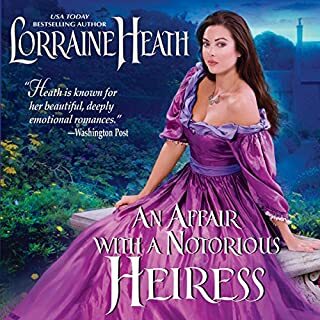 But Rex's target is a lady of virtue, and when she roundly rejects his improper proposal to become his mistress, Rex finds himself faced with a delectable challenge. I loved this book as it portrays many of the obstacles and adversities of the result of the abuse of women. The problems are no different than what happens in the 21st century. It is not a portrayal through rose coloured glasses but still tastefully intertwined with a love story. Women rarely refuse the wicked Earl of Hepplewood, whose daring exploits are only whispered about. But when his new governess answers his proposition with a slap, then stalks out, references in hand, Hepplewood finds more than his face is burning. Isabella Aldridge has brains, bravado, and beauty - but the latter is no use to a servant. Her circumstances are desperate, and with Hepplewood's words ringing in her ears, Isabella realizes she must barter her most marketable asset…her body. Found a lot of these romantic fiction repetitive but this definitely catches the imagination from the storyline. It gives a great insight into old England and what had to be done to survive in that era. It can be explicit but the story shines through. Rupert Carsington, fourth son of the Earl of Hargate, is his aristocratic family's favorite disaster. He's irresistibly handsome and unapologetically irresponsible, & trouble follows wherever he goes. Still, Rupert somehow manages to escape entanglement - emotional or other - with maddening grace! But now he's a prisoner in Cairo's most infamous jail and his only chance out is accepting a beautiful widow's dangerous proposal. I had listened twice to this book and it was very funny, good storyline and captured your vision of what Egypt was like. It was full of little twists and turns to keep the listener Interested. Very well narrated. This was an excellent read. A very believable plot and characters were very easy to like. There was great story that was gripping from start to finish.